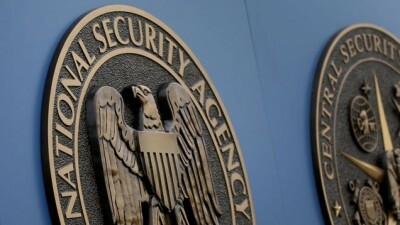 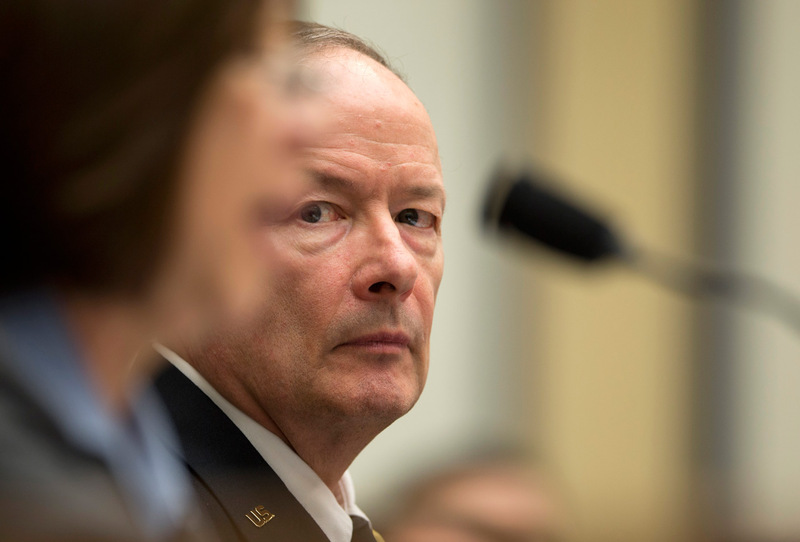 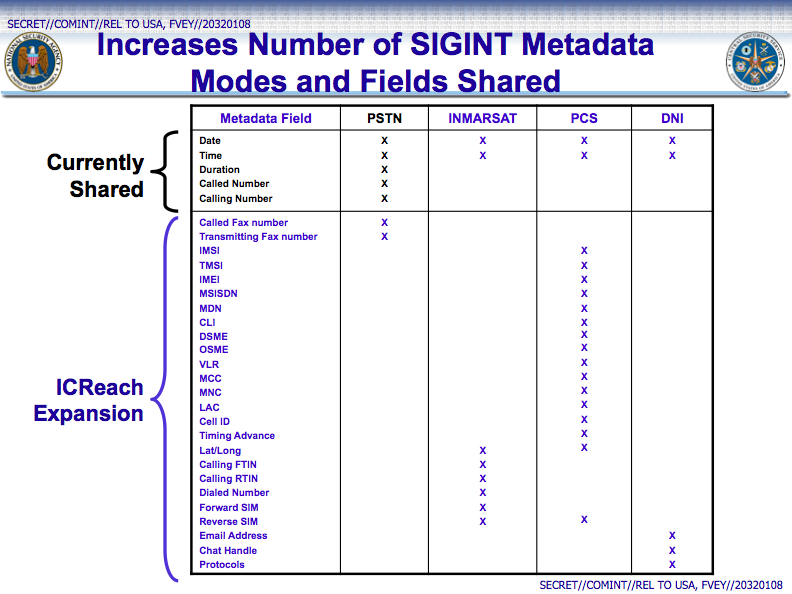 Data available through ICREACH appears to be primarily derived from surveillance of foreigners’ communications, and planning documents show that it draws on a variety of different sources of data maintained by the NSA. 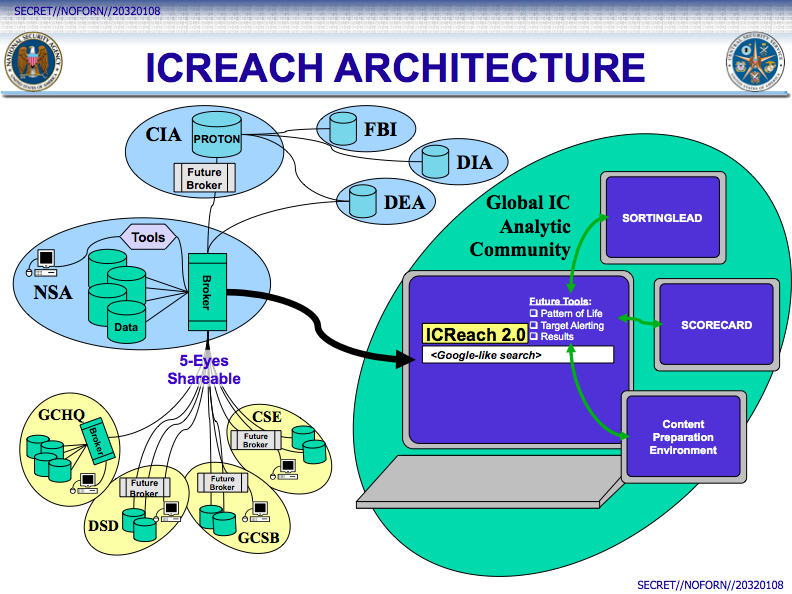 Thoughone 2010 internal paper clearly calls it “the ICREACH database,” a U.S. official familiar with the system disputed that, telling The Intercept that while “it enables the sharing of certain foreign intelligence metadata,” ICREACH is “not a repository [and] does not store events or records.” Instead, it appears to provide analysts with the ability to perform a one-stop search of information from a wide variety of separate databases. 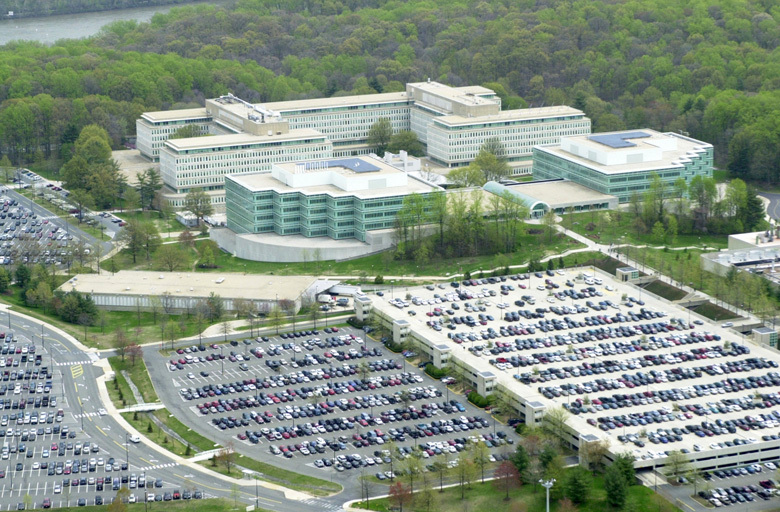 CIA headquarters in Langley, Virginia, 2001.